This graph shows values of total forest cover for various regions and sub-regions of the world using FAO data, with deforestation in some areas and reforestation in others. World annual deforestation is estimated as 13.7 million hectares a year, equal to the area of Greece. Only half of this area is compensated by new forests or forest growth. In addition to directly human-induced deforestation, the growing forests have also been affected by climate change, increasing risks of storms, and diseases. Kyoto protocol includes the agreement to prevent deforestation but not the actions to fulfill it. Africa is suffering deforestation at twice the world rate, according to the United Nations Environment Programme (UNEP). Some sources claim that deforestation has already wiped out roughly 90% of West Africa's original forests. Deforestation is accelerating in Central Africa. According to the FAO, Africa lost the highest percentage of tropical forests of any continent during the 1980s, 1990s, and early 2000s. According to the figures from the FAO (1997), only 22.8% of West Africa's moist forests remain, much of this degraded. Nigeria has lost 81% of its old-growth forests in just 15 years (1990–2005). Massive deforestation threatens food security in some African countries. One factor contributing to the continent's high rates of deforestation is the dependence of 90% of its population on wood as fuel for heating and cooking. Research carried out by WWF International in 2006 shows that in Africa, rates of illegal logging vary from 50% in Cameroon and Equatorial Guinea to 70% in Gabon and 80% in Liberia – where timber revenues played a major role in financing the Sierra Leone Civil War and other regional armed conflicts until the UN Security Council imposed a ban on all Liberian timber in 2003. Deforestation in the Democratic Republic of the Congo has been caused partly by unregulated logging and mining, but mostly by the demands made by the subsistence activities of a poor population. In the east of the country, for example, more than 3 million people live less than a day's walk from Virunga National Park. Wood from the park's forests is used by many of those people as firewood, as lumber for construction, and in the production of charcoal. Deforestation caused by subsistence living is an acute threat to the park in general, and to the habitat of the critically endangered mountain gorilla in particular. The main cause of deforestation in the East African country of Ethiopia is a growing population and subsequent higher demand for agriculture, livestock production and fuel wood. Other reasons include low education and inactivity from the government, although the current government has taken some steps to tackle deforestation. Organizations such as Farm Africa are working with the federal and local governments to create a system of forest management. Ethiopia, the third largest country in Africa by population, has been hit by famine many times because of shortages of rain and a depletion of natural resources. Deforestation has lowered the chance of getting rain, which is already low, and thus causes erosion. Bercele Bayisa, an Ethiopian farmer, offers one example why deforestation occurs. He said that his district was forested and full of wildlife, but that overpopulation caused people to come to that land and clear it to plant crops, cutting all trees to sell as firewood. Ethiopia has lost 98% of its forested regions in the last 50 years. At the beginning of the 20th century, around 420,000 km² or 35% of Ethiopia's land was covered with forests. Recent reports indicate that forests cover less than 14.2% or even only 11.9% as of 2005[update]. Between 1990 and 2005, the country lost 14% of its forests or 21,000 km². In 1963 Kenya had forest cover of some 10 percent and by 2006 1.7 percent. Russia has the largest area of forests of any country on Earth, with around 12 million km2 of boreal forest, larger than the Amazon rainforest. Russia's forests contain 55% of the world's conifers and represent 11% of biomass on Earth. It is estimated that 20,000 km2 are deforested each year. The present scale of deforestation in Russia is most easily seen using Google Earth. Areas nearer to China are most affected, as it is the main market for the timber. Deforestation in Russia is particularly damaging as the forests have a short growing season due to extremely cold winters and therefore will take longer to recover. Forest loss is acute in Southeast Asia, the second of the world's great biodiversity hot spots. According to 2005 report conducted by the FAO, Vietnam has the second highest rate of deforestation of primary forests in the world second to only Nigeria. More than 90% of the old-growth rainforests of the Philippine Archipelago have been cut. Other Southeast Asian countries where major deforestation is ongoing are Cambodia and Laos. According to a documentary by TelePool, the deforestation is being directed by corrupt military personnel and government (forestry services). As of 2008[update], at present rates, tropical rainforests in Indonesia would be logged out in 10 years, Papua New Guinea in 13 to 16 years. Indonesia had lost over 72% of intact forests and 40% of all forests completely in 2005. Illegal logging took place in 37 out of 41 national parks. The illegal logging costs up to US$4 billion a year. The lowland forests of Sumatra and Borneo were in risk to be wiped out by 2022. According to Transparency International numerous controversial court decisions in this area have raised concerns about the integrity of the judiciary. Yoichi Kuroda sketches a history and current outline of 'large scale land and landscape destruction' here See also Mudslides and Erosion. Iceland has undergone extensive deforestation since Scandinavians settled in the ninth century. At the time of human settlement about 1140 years ago, birch forest and woodland covered 'at least 25%' of Iceland's land area. The settlers began by cutting down the forests and burning scrubland to create fields and grazing land. Deforestation did not end in Iceland until the middle of the 20th century. Afforestation and revegetation has restored small areas of land. However, pastoralism was the main reason birch forest and woodland did not grow back. 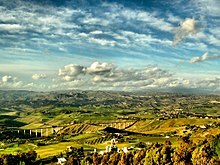 Sicily is an often-quoted example of man-made deforestation, which was practiced since Roman times, when the island was made an agricultural region, and continued to this day. This gradually aridified the climate, leading to decline of rainfall and drying of rivers. Today, entire central and southwest provinces are practically without any forests. That also affected the island's wild fauna, of which is little left in the pastures and crop fields of the inland. In Canada, prior to 2000, less than 8% of the boreal forest was protected from development and more than 50% has been allocated to logging companies for cutting. In 1600, prior to the arrival of European-Americans, roughly half of the land area of the present-day United States was forest—about 4,000,000 square kilometres (990,000,000 acres). For the next 300 years land was cleared, mostly for agriculture, at a rate that matched the rate of population growth. For every person added to the population, one to two hectares of land was cultivated. This trend continued until the 1920s when the amount of crop land stabilized in spite of continued population growth. As abandoned farmland reverted to forest, the amount of forestland increased from 1952, reaching a peak in 1963 of 3,080,000 square kilometres (760,000,000 acres). Since 1963 there has been a steady decrease of forest area with the exception of some gains from 1997. The history of most Central American countries involves cycles of deforestation and reforestation. By the fifteenth century, intensive Mayan agriculture had significantly thinned the forests. Before Europeans arrived, forests covered 500,000 square kilometers – approximately 90% of the region. Eventually, the forcing of "Europe's money economy on Latin America" created the demand for the exportation of primary products, which introduced the need for large amounts of cleared agricultural land to produce those products. Since the 1960s, cattle ranching has become the primary reason for land clearing. The lean grass-fed cattle produced by Central American ranches (as opposed to grain-fed cattle raised elsewhere) was perfectly suited for American fast-food restaurants and this seemingly bottomless market has created the so-called "hamburger connection" which links "consumer lifestyles in North America with deforestation in Central America". In 2008, Brazil's Government has announced a record rate of deforestation in the Amazon. Deforestation jumped by 69% in 2008 compared to 2007's twelve months, according to official government data. Deforestation could wipe out or severely damage nearly 60% of the Amazon rainforest by 2030, says a new report from WWF. Due to relatively recent colonisation, Australia has had high rates of deforestation, primarily due to clearing for agricultural purposes. In recent years[when?] much of the clearing has occurred in Tasmania and Queensland, but rates are expected to decrease with the implementation of new legislation. In 1998, deforestation is thought to have been responsible for around 12% of Australia's total carbon emissions. Earlier in 2014, there were plans to clear large areas of forests, but that decision was later abandoned. In the 800 years of human occupation of New Zealand 75% of the forests were lost. Initially it was by wholesale burning by English but remaining forests were logged for lumber for the burgeoning population. By 2000 all logging of native trees on public land was stopped. Logging on private land is controlled with a permit system and with the Resource Management Act. Papua New Guinea (PNG) has one of the world’s largest rainforests. Illegal logging was among highest in the world in 2007, estimated as ca 70-90% of all timber export. ^ Deforestation reaches worrying level - UN Archived 2008-12-06 at the Wayback Machine. AfricaNews. ^ Africa's deforestation rate may be underestimated. mongabay.com. June 22, 2006. ^ Tropical Deforestation Rates in Africa. mongabay.com. Retrieved on May 31, 2009. ^ "Nigeria: Environmental Profile". Rainforests.mongabay.com. Retrieved 2010-09-10. ^ Raphael Mweninguwe. "Massive deforestation threatens food security". Newsfromafrica.org. Archived from the original on 2011-07-18. Retrieved 2010-09-10. ^ Agyei, Yvonne. Deforestation in Sub-Saharan Africa. African Technology Forum, Volume 8, Number 1. Retrieved on May 31, 2009. ^ Paul Toyne, Cliona O’Brien and Rod Nelson. "The Timber Footprint of the G8 and China" Archived July 19, 2011, at the Wayback Machine. WWF International. June 2002. pp. 35-36. ^ Blondel, Alice. "The Logs of War". Monde Diplomatique. January 2004. ^ Black, Richard. "New Dawn for Liberia's 'Blood Forests'". BBC News. October 12, 2006. ^ These deforesting activities have been amply documented by numerous authors (Accion contra el Hambre, 1999; Biswas & Tortajada-Quiroz, 1996; Fuelwood Crisis Consortium, 1994; Henquin & Blondel, 1996; Lodhi et al., 1998; Blondel, 1997; Leusch, 1995; and Languy, 1995). ^ Sucoff, E. (2003). Deforestation. In Environmental Encyclopedia. (P.g.358-359). Detroit: Gale. ^ a b c Parry, J. (2003). ^ "Statistics: Ethiopia". Rhett A. Butler, mongabay.com. n.d. Retrieved June 4, 2007. ^ "Deforestation causes species extinction in Madagascar". News.mongabay.com. Retrieved 2010-09-10. ^ "What are rainforests?". Kids.mongabay.com. Retrieved 2010-09-10. ^ "Deforestation in Madagascar". American.edu. Retrieved 2010-09-10. ^ "Rainforests & Agriculture". Csupomona.edu. Archived from the original on 2012-09-30. Retrieved 2010-09-10. ^ "News.monabay.com". News.mongabay.com. Retrieved 2010-09-10. ^ "The Lost Forest". Fieldmuseum.org. Retrieved 2010-09-10. ^ "Die Tropenholz-Mafia – Kriminelle Geschäfte mit dem Regenwald – Telepool, 2008". Youtube.com. 2008-11-08. Retrieved 2010-09-10. ^ "Alternative site for Die Tropenholz-Mafia documentary". Yourepeat.com. Retrieved 2014-11-08. ^ China is black hole of Asia's deforestation, Asia News, 24 March 2008. ^ e.V., Transparency International. "Site no longer exists". www.transparency.org. ^ "LandUse: Why Iceland". Landbunadur.is. 2008-05-09. Retrieved 2010-09-10. ^ a b Darwin Porter; Danforth Prince (2009). Frommer's Sicily. Frommer's. p. 268. ^ "Deforestation in Canada - What Are the Facts?" (PDF). Cfs.nrcan.gc.ca. Retrieved 2018-04-17. ^ a b Myers, Norman, and Richard Tucker. "Deforestation in Central America: Spanish Legacy and North American Consumers." Environmental Review: ER 11, no. 1 (1987): 55-71. ^ "U.S. ethanol may drive Amazon deforestation". News.mongabay.com. 2007-05-17. Archived from the original on 2012-07-13. Retrieved 2010-09-10. ^ "Booming Soybean Business Means Continued Deforestation in the Amazon". Mongabay.com. Retrieved 2010-09-10. ^ "WWF - Atlantic Forests - A Global Ecoregion". archive.org. 3 May 2008. ^ "Record Amazon deforestation in Brazil". Irishtimes.com. 2008-01-24. Retrieved 2010-09-10. ^ "Brazil Amazon deforestation soars". 30 May 2018 – via news.bbc.co.uk. ^  Australian Greenhouse Office 2000, Land Clearing: A Social History, Commonwealth of Australia, Canberra. ^  Forest Practices Authority. (2007) Information on land clearing controls in Tasmania. ^ "Littoral Rainforest—Why is it threatened?". Pittwater.nsw.gov.au. Retrieved 2010-09-10. ^ Darby, Andrew (23 June 2014). "UNESCO rejects 'feeble' Abbott government bid to wind back protection of Tasmanian forests". The Sydney Morning Herald. Cheung, Sze Pang; Chung, Tiy; Stark, Tamara (April 17, 2007). "Merbau's Last Stand: How Industrial Logging Is Driving the Destruction of the Paradise Forests of Asia Pacific" (PDF). Netherlands: Greenpeace International. Corlett, Richard T. (2013). "Becoming Europe: Southeast Asia in the Anthropocene". Elementa. doi:10.12952/journal.elementa.000016.